Damn. I fell for it (again). A professor promoted a new book as “making the most sense of the crucifixion” and “making a fresh contribution to studies of the ‘historical Jesus'” so I made a rush purchase and read it the same day it arrived. Silly me, I should first have checked the University of Edinburgh Library’s open access policy and archive of dissertations because it is sitting there free of charge for all to read. Access is also online through the British Library. There are only slight modifications of wording and more truncated bibliographic references in the published version. Sadly both versions make it clear that the School of Divinity at the University of Edinburgh is responsible for some very crude fundamentalist-level apologetics posing as serious scholarship. I expected better from the University of Edinburgh. 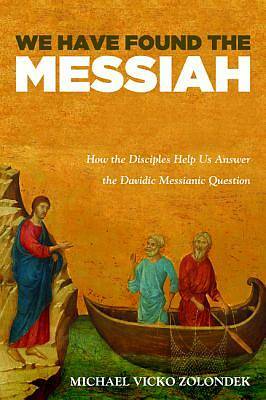 The first difficulty I had with the book (We Have Found the Messiah: How the Disciples Help Us Answer the Davidic Question) was lack of clarity over its aim. It often sounded as if the author, Michael Zolondek (=MZ), was arguing that Jesus was a Davidic Messiah in some absolute sense that Christians today could claim was “the” identifier of Jesus. That is, we today should think of Jesus as a genuine Davidic Messiah just as surely as we think of him as a Jew or a male (or god in the flesh?) — quite independently of what anyone else thought of him (passim from p. xiv to p. 143). Other times MZ narrows the question down to suggest he meant he was the Davidic Messiah in the eyes of the disciples specifically (chapter 5). Does he mean the reader to understand that the disciples’ perspective is “The Truth” that readers of the gospels should also embrace? Confusion of terms bedevils other areas as well. For example, at one point MZ appears to acknowledge that the criterion of multiple attestation has value only if each witness is independent (p. 92) but other times he implies that multiple attestation has value even when the witnesses are not independent (p. 98). But my interest in this post is one particular detail about the book that I found quite curious. On at least three separate occasions in his chapter on “methodological issues” MZ stressed that biblical scholars such as himself really are following the same methods as historians of other fields. By the third time I had to ask if MZ doth protesteth too much. Another strange feature of this doctoral dissertation was a bizarrely irrelevant and quite misleading comment about Jesus mythicism. I can post about that quirk another time. It turns out that what MZ means here is that Jesus scholars “often times” are working by far stricter standards than anything followed by “ancient historians normally”, and that if only more Jesus scholars would lower their standards to be consistent with those found in Classics and Ancient History departments at universities they would, lo and behold, find their job much easier and be able to reconstruct and prove all sorts of things about Jesus. Further, in his discussions of historical methods MZ cites sources that actually discuss the philosophy of history and debatable questions of historiography and problems in creating historical narratives, apparently confusing them with discussions of research methods brought to bear in evaluating sources and discovering certain facts about the past. I believe that these are generally distinct areas of study that MZ appears to have confused as I will also discuss below or in a follow up post.